Sleep. You want it, you need it, but are you getting enough? 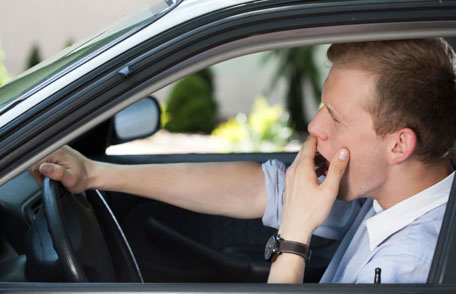 Compared to half a century ago, we get about two hours less of sleep every night! And the cost of progress is measurable: lack-of-sleep-related driving accidents, medical errors, even pilots falling asleep at the wheel—or stick. Worse? Even if you don’t feel drowsy, you may act like you are. Paul Shaw, from Washington University School of Medicine, St. Louis, did a scientific study of true restedness. He kept nine human volunteers awake for twenty-eight hours straight. Then, he tested the production of a molecule called amylase. He’d found that it tended to accumulate in the saliva of the sleep-deprived. In every single wide-eyed volunteer, amylase production increased. But to varying degrees. Different individuals require different amounts of sleep to be truly rested, and amylase appears to reflect that variation. You may be one of the lucky ones, or not. Either way, let’s keep binge-watching The Walking Dead all weekend. Just one more episode—I’m not that tired!